Preparing and sitting exams is a good way to focus your learning and to prove your level of English. It could help you to get a job and to get a place university. Which English exam should you take? Well it is always best to come and speak to the professionals. 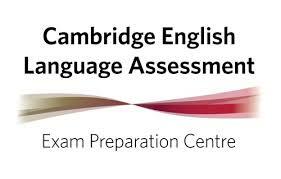 We have over 20 years experience of preparing students for exams and we are an exam centre for the Univeristy of Cambridge. Please come and ask us any questions you have about what is the best English exam for you. At BLS English the English Exams preparation courses on offer are mainly IELTS, PET and FCE. Adult students can prepare for exams as part of the afternoon programme and in addition be guided through the self-study session on a Friday afternoon when students take mock exams in preparation for the real thing. You can receive advice and tips on study from our Director of Studies. Junior summer students can enrol on a University of Cambridge First Certificate course as part of the junior activity programme. Click here. Do I need to take an English language Exam?